If the above is true (and it is), can we say books in specific categories or genre s have similar and distinct styles, fonts and images used in book cover design? Convolutional Neural Networks (CNN), in particular, are multilayer neural networks that apply learned convolutional kernels, or ﬁlters, to transform input data as a method of feature extraction. The general idea is to use learned features rather than predesigned features as the feature representation for image recognition. Recent deep CNNs combine multiple convolutional layers along with fully-connected layers. By increasing the depth of the network, higher level features can be learned and discriminative parts of the images are exaggerated. These deep CNNs have had successes in many ﬁelds including digit-recognition, and large-scale image recognition (Judging...). For the rest of us, I'll use the acronym CNN or "a computer" to avoid brain cramp. Using "machine learning", Uchida and Iwana had their CNN analyze and genre-sort 137,788 book covers from Amazon.com. "Title, author and sub-categories were discarded" (Judging...). Machine learning is a term used to describe a computer's ability to "learn" based on what it is taught. It isn't quite doing what it's told and it isn't quite true artificial intelligence. The computer is given some rules, which we call algorithms. Then, the computer runs these rules against the testing material or idea and can start to make predictions based on data patterns. In this book cover study to determine if genre is recognizable in book cover design, the Japanese researchers trained their system on visual design using approx. 110,000 Amazon.com novels. After the system was trained, it tested it's genre learning against just under 14,000 novels to ensure pattern logic was working, then it ran the last 10% of the books in an effort to categorize the covers. In some genres, such as cookbooks, technology and travel, the computer could recognize about 40% of the book categories. 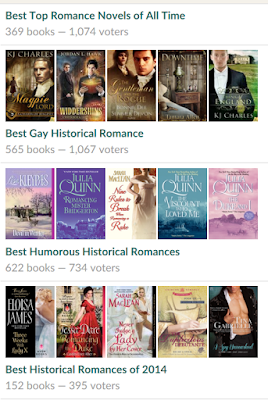 Using a CNN model, we categorized book covers into genres and the results of the experiment had an accuracy of 21.9% for Top 1, 32.1% for Top 2, and 40.2% for Top 3 in 20-class classiﬁcation (Judging...). Other genres were more ambiguous and confusing and the system did not fair as well. The bottom line is this research showed a consistency between visual images within book genres. In this paper, we presented the application of machine learning to predict the genre of a book based on its cover image. We showed that it is possible to draw a relationship between book cover images and genre using automatic recognition (Judging...). So, what does this mean for authors? My personal conclusion is that readers, machines and designers will follow trending visual design for genre categories. If we, as authors, design our novel covers outside of those trends, we run the risk of our novels being purchased by the wrong readers, which can lead to unsatisfied customers and negative reviews, not to mention never building a tribe in the right genre readership. 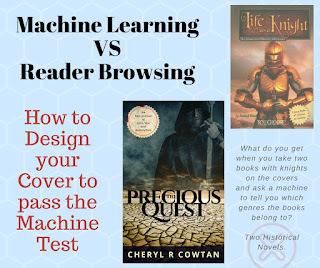 Book cover design outside of the visual cues for genre could also lead to algorithms misfiling/shelving a novel, or missed chances at having a novel connected to other books in its category. If we weren't sure before, Iwana and Uchida's research has shown there are visual similarities between genre book cover design, and like they say... when in Amazon, do as the Amazonians do.